I created this bear for Bear Artist Online's Valentine's Day show this year. 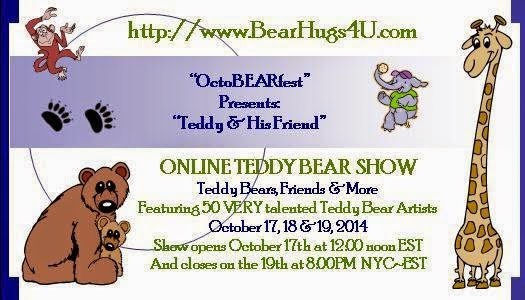 I always love online show, as I can sit in my own home & browse all of the bears that from all over the world. 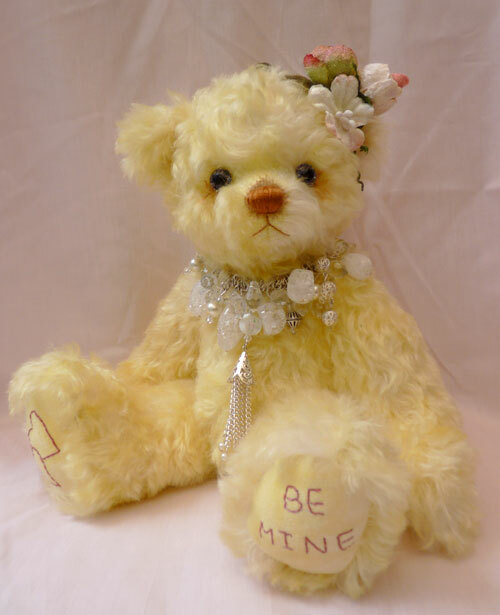 "Be Mine" is a lovely and adorable bear, with embrodiered footpads. On her right footpad has "Two love hearts", and left footpad has "Be Mine" as you can see on photo. I really love her rich yellow colour hand-dyed mohair, and I have to mention that glass bead necklace -- I used variety beads to create this necklace, also the string at inside is elastic and it's stretchy.